The BTP Force match was held on Tuesday 14th August. A mixture of 12 current and retired staff pitched up to fish; good weights were had across the board and a steady start meant a host of anglers were in the running to begin with. As the match progressed however it was Gary Shepherd who pulled ahead, leading the way with a cracking final weight of 121lbs, followed by Nobby Goodband with 84lbs. Simon Woods dropped a fish at the net at the final whistle allowing Andy Selby to pip him for third place with 63lbs. This led to a bit of banter, although nobody knew what was to follow. Everyone in the top 10 each had 20lb plus in their nets; a really good days fishing overall. The following day, BTP had four teams of four anglers each participating in the national Railsport competition held across all the 16 or so lakes at Makins. More than 26 teams entered from across the rail industry, with 100-plus anglers competing. Whilst we had a really good result with two teams coming joint 5th in the team event, individually it was a different story: Gary Shepherd earned himself some prize money and claimed runner up spot in his section; Nobby Goodband did likewise winning his section, but better yet was still to come from Simon Woods (NE SOCO), who not only won his section but also the whole competition with an eye watering 144lbs of fish. He walked away with the winner's trophy and just short of £300 in prize money. Overall this was BTP's best representation by some standing in Railsport both in terms of teams entered and results. A massive well done and thanks to everyone who made the effort to take part. 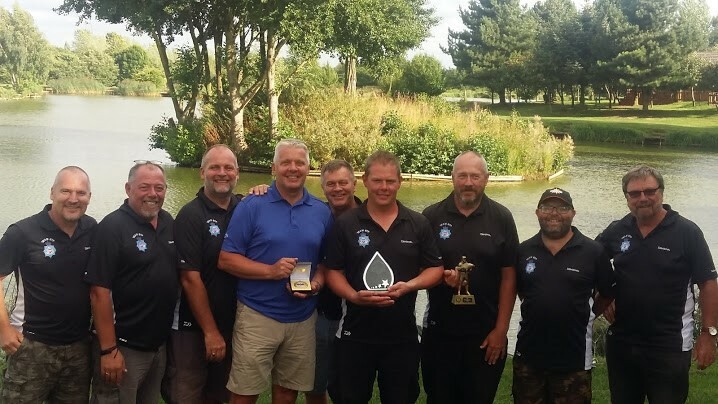 Finally, on Thursday 16th August, six BTP anglers took part in the PSUK individual competition, with Gary Shepherd the best performing BTP angler again in the prize money with a Section Runner-up place. Full results are still to be published by Police Sport UK.